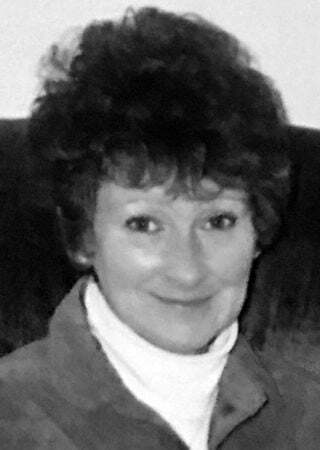 SCHERERVILLE, IN/GRAND RAPIDS, MI - Lauren "Laurie" Marie Blair (formerly Henry, nee Stofchick), age 69 (Born April 23, 1949) passed away in Grand Rapids, MI on April 13, 2019. She is survived by her loving husband, Keith Blair; daughters, Karen Henry, Kelly (Bob) Misner, and Katherine Blair; mother-in-law, Larayne Bartlett; so Very Special Sister-in-Law, Karyn (Randy) Manuszak; nephew, Ryan (Colleen) Manuszak; grandson, Edward "Forest" Layman and her very special cousins, Dale (Sharon) Schuit, Dennis (Kathy) Schuit, and Keith Schuit. Preceded in death by her father, Lawrence "Larry" Stofchick; mother, Shirley Schiesser; sister, Meredith Holder; brother-in-law, Roy Holder; beloved aunt, "Toots" Dolores Schuit and many, many very special fur babies. Laurie lived in Schererville for over 30 years before moving to Grand Rapids, MI in 2014 to enjoy nature and all the fur animals in her beautiful wooded area. Laurie loved the simple things in life, enjoying plane watching, sitting on her many porches at home or at the lake, having her "Pepsi and Pretzels," and taking in all life has to offer. She took such pleasure in hosting all our family and friends for holidays and gatherings, always using her special creative baking skills and talents. Laurie also had a passion for all animals, taking in strays, and even befriending wild animals. The next time you gaze into the sky and see a jet plane on its way or a white trail in its tracks please think of Laurie watching over as she had such a love of flight! Celebration of Life Services will be held on Thursday, April 18, 2019 from 3:00 - 8:00 PM with a Funeral Ceremony at 5:00 PM at CHAPEL LAWN FUNERAL HOME (8178 Cline Avenue Crown Point, IN) with Deacon Phillip Muvich officiating. As an expression of sympathy, memorial contributions may be sent in Laurie's Honor to Alzheimer/Dementia Organizations, Cancer Research, or the South Suburban Humane Society (Chicago Heights, IL). Online condolences may be left at chapellawnfunerals.com.